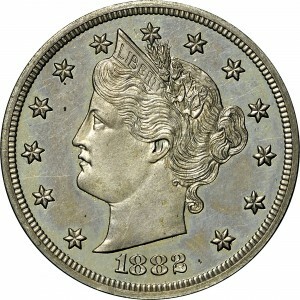 This pattern is a prototype for the popular Liberty Head nickel, which was introduced into circulation in 1883. This is the exact obverse and reverse design of the regular issue, including the absence of CENTS on the reverse. These dies were engraved by Charles Barber and the patterns are very popular among Liberty Head nickel specialists. Possibly as many as 20 examples survive. 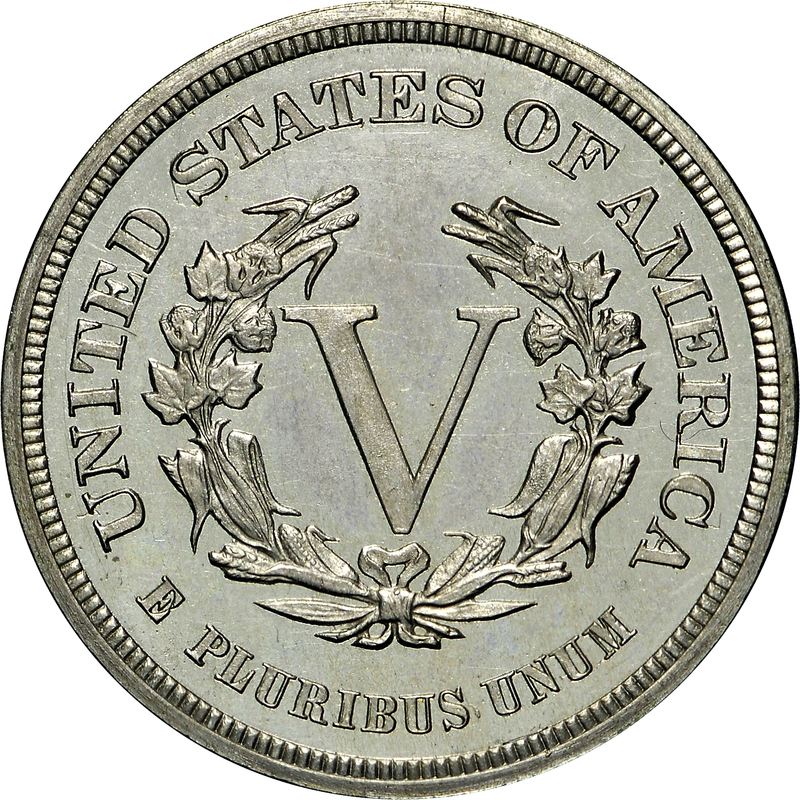 The reverse die has S in PLURIBUS repunched, with this identical die used on a small number of examples in 1883. Purchased from Julian Leidman on February 1, 1971. 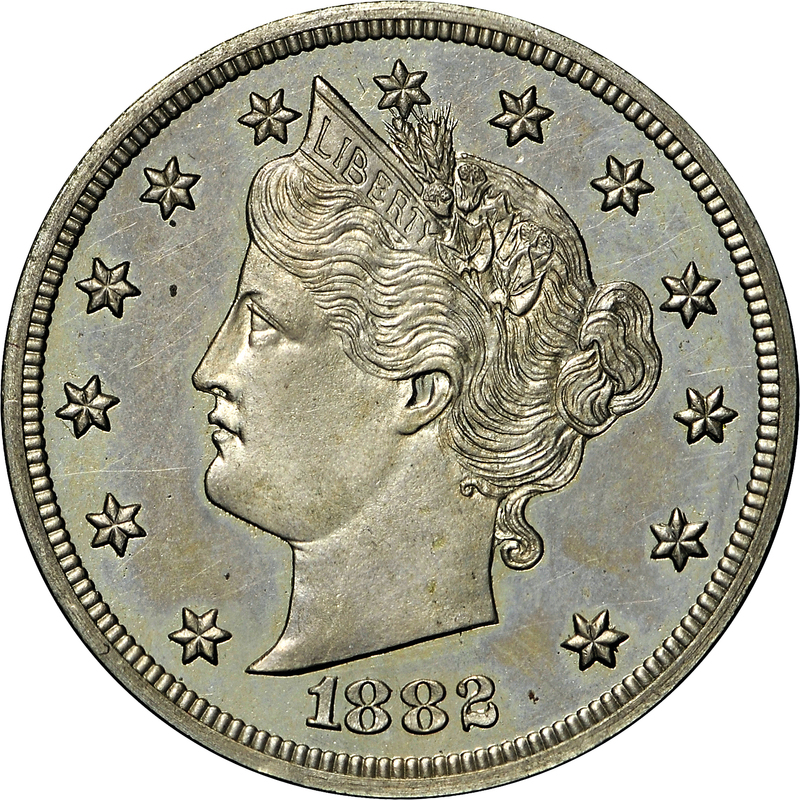 Head of Liberty left identical to that used on regular issue five cent nickels 1883-1912, wearing coronet inscribed LIBERTY with 13 stars around and date below bust. 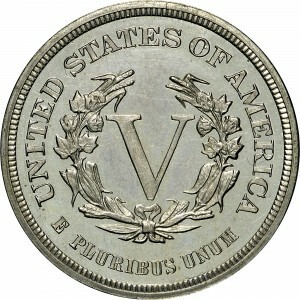 Identical to that used on "no CENTS" regular issue nickel five-cent pieces of 1883, with Roman numeral V in a wreath of cotton and corn with UNITED STATES OF AMERICA above and E PLURIBUS UNUM below.